While staying the night in room 217 at the Stanley Hotel in Estes Parks, Colorado, my partner and I experienced three strange events we will probably remember for the rest of our lives. When you hear about the Stanley Hotel, you probably think of Stephen King’s horror novel called The Shining, or Stanley Kubrick’s horror film also called The Shining. However, in addition to a famous book and film, the hotel also has had a reputation for decades of reported ghost activity . Claims of paranormal activity have attracted visitors from around the world. In 1974, famous horror writer Stephen King stayed the night in room 217. Interestingly, his stay at the Stanley had inspired him to write his famous horror novel The Shining. It is also the room where many guests report unexplained events believed to be caused by the spirit of a former Stanley Hotel housekeeper named Elizabeth Wilson. She passed away in the 1950’s. 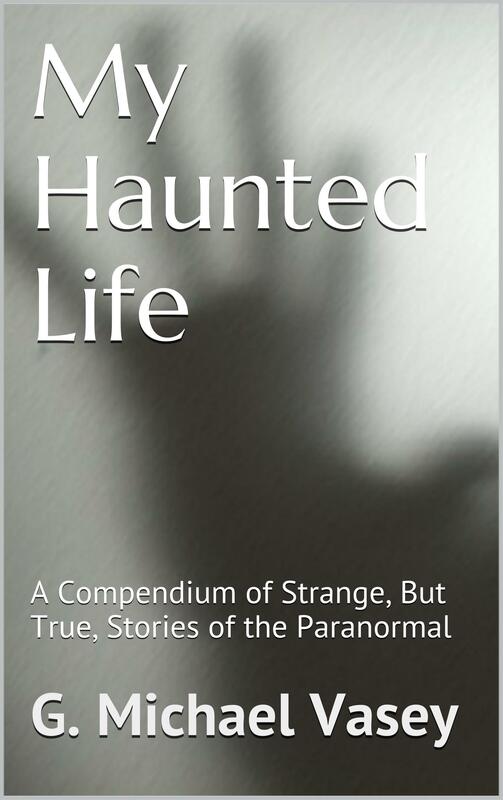 Now I will share the three separate paranormal experiences that have changed my belief in ghosts. Despite being a former skeptic, I came to the Stanley with an open mind. While I’ve seen orbs and have had several strange experiences that I can’t explain, what I experienced on Friday, May 26, 2017, was certainly the most intense and frightening experience of them all. At approximately 8:00 p.m., my partner and I came back from a quick trip to the grocery store. Out of nowhere, we heard the sounds of what seemed to be a trolley that was outside of our door. My partner immediately walked over to the door to see if who it was. I thought to myself that perhaps it was room service, but I knew we didn’t make any requests. Shockingly, my partner looked through the peephole, and there was no one in sight. Although what happened was certainly a shock to us, it wasn’t enough to convince me that it was a ghost. At around 11:00 p.m., we decided to reach out to Ms. Elizabeth Wilson (or any other ghost that may have been hanging out in our room). I figured that even if nothing were to come out of it, I can at least say “I tried.” I said to Ms. Wilson: “If you are really here with us, prove it.” I repeated this a couple of times. This was the last thing I had said before I finally went to bed. It was around 2:30 in the morning when I was woken up from a loud noise. Despite my partner being a heavy sleeper, the noise was loud enough to wake him up as well. The loud noise sounded like it came from someone who picked up a large and heavy object, and then slammed it to the floor. Interestingly, it wasn’t just my partner and I who woke up from this mysterious noise. Just a moment or two after we woke up, we heard other guests around the hotel speaking and whispering. I was so scared, I asked my partner to put the television on so I could just forget about it and go back to sleep. However, he didn’t want the television on. He was more interested in finding out where the noise came from, then going back to sleep. When I woke up the next morning, I saw a 20 oz. bottle of Mountain Dew on the floor. My partner’s soda somehow fell to the floor in the middle of a quiet night. What’s even more odd is that this bottle was loud enough to wake up not just my partner and I, but also other guests who were near our room. I don’t believe it was the soda that caused the loud noise. I believe it was a ghost responding to our request to prove it really exists. Before we left room 217, I overheard a conversation between several people outside of our room. They were talking about hearing a loud noise late in the night. I spoke with a woman who told us she was staying in a room directly above ours. After I asked her about the loud noise, she said it woke her up around 2:30. The woman described the noise as the fall of a “large barrel.” According to the woman, there was another guest in room 324 who also heard the noise. While I thought that the extremely loud and unexplained bang was enough to convince me that there really are ghosts roaming the Earth, one more thing happened that night. At around 4:00 a.m., I woke up and realized that less than two hours after the loud bang occurred, it was completely silent in our room. My partner was sound asleep. Just a minute or two after I woke up, out of nowhere I heard the sounds of a chuckle from a woman. Interestingly, it sounded like the ghost was giggling just centimeters away from my ears. I believe that the chuckle had probably came from Elizabeth Wilson. Although it certainly was frightening and quite creepy to me, I was extremely tired. I quickly went back to sleep. After staying just one night in the Stanley’s room 217, I went from a skeptic, to a believer in ghosts. If I ever go back to this hotel, I will likely request another room with many reports of supernatural activity. However, regardless of what room you visit at the Stanley Hotel, if you come with an open mind, you just might have a paranormal experience you will never forget.